On this page we will put all updates about the two future RwandAir B787s Dreamliner. 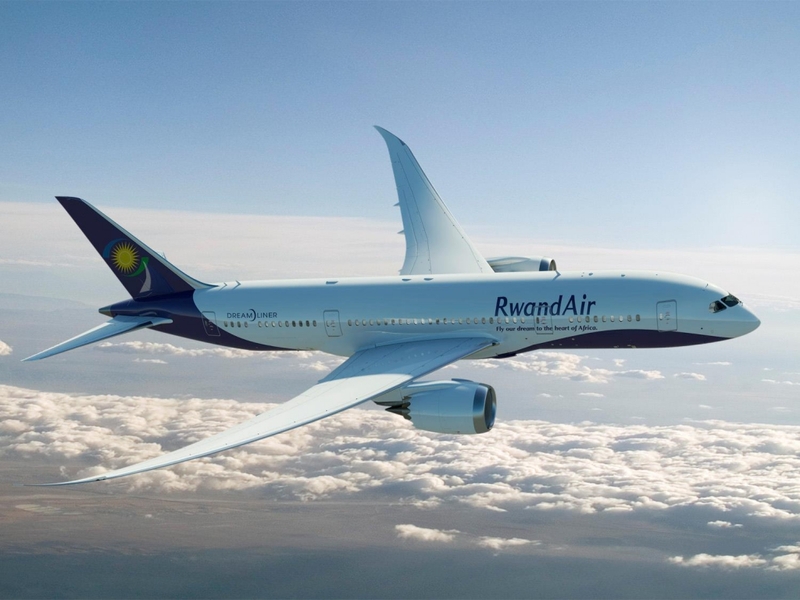 According to an interview of the RwandAir commercial director, RwandAir plans to get its first Dreamliner, by late 2014 or early 2015 (Dates can change). However last infos say that RwandAir will take delivery of its first B787 in 2017. RwandAir won't take delivery of its B787s, until 2017 ? According to an article published by Bloomberg, about the fact that Boeing is facing to some difficulties to sell early B787s (terrible teens), RwandAir will probably take delivery of its first B787 in 2017.
. The sales push also includes two 787s for which RwandAir signed a letter of intent in 2012 and for which no firm agreement has been reached, one person said. RwandAir Chief Executive Officer John Mirenge said the carrier’s purchase plans aren’t final and that it wouldn’t take any 787s until 2017. The Kigali, Rwanda-based airline has seven planes. RwandAir planned to buy to former Royal Air Maroc B787s. The early Dreamliners are known in the industry as the “terrible teens,” a nod to their place in the assembly-line order and the factory woes. The teens weigh more than other 787s due to custom-fitted reinforcements and needed the most work among the more 60 early Dreamliners that required post-assembly modifications, said bloomberg. 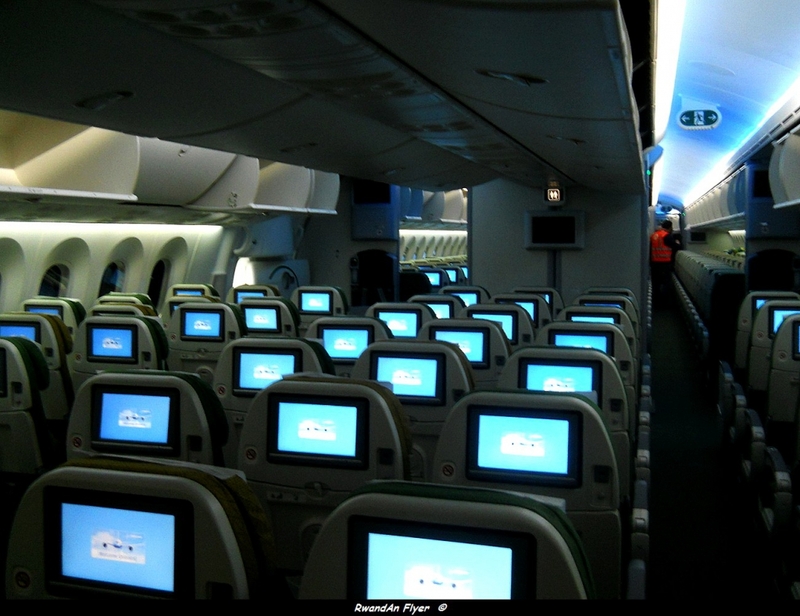 The airline planned to start service to Europe and China by 2015, but it seems that plans will be put in hold. However, the airline could lease a long haul aircraft. Wait and see. From its light and durable composite fan blades to its high-performance turbine, the GEnx will be the most fuel-efficient jet engine in its thrust range - ever. It will operate at lower noise levels and produce fewer NOx and CO2 emissions than any other commercial production engine in its category. The innovative GEnx combustor, the most efficient in GE history, is designed to create more uniform combustion temperatures and a significant reduction in emissions. Likewise, the turbine offers improved efficiency with enhanced geometry airfoils, counter-rotating architecture and advanced materials. Its exclusive third-generation composite fan blades are intricately formed to deliver superior aerodynamic performance and durability. 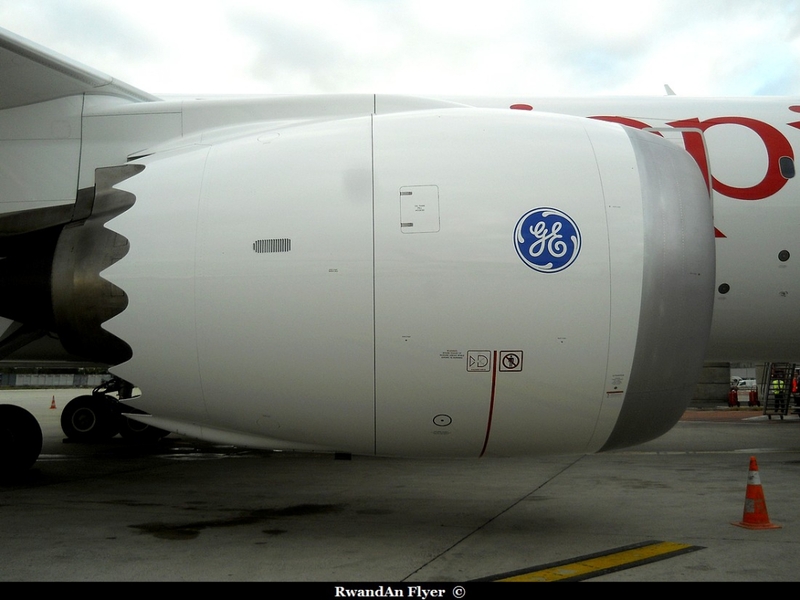 Its light weight composite fan case reduces aircraft weight by 1200 lbs., eliminates corrosion and lowers maintenance costs. And, with only 10 stages, the GEnx compressor uses hundreds fewer parts, yet operates at the highest pressure ratio in commercial aviation. 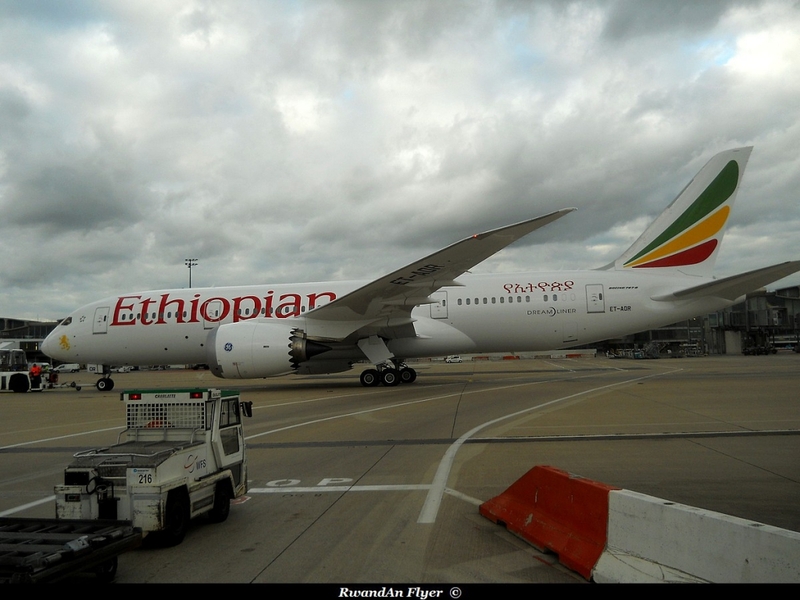 According the website B787 Register.co.uk, two B787s have sold to RwandAir. The aircraft were planned to go to Royal Air Maroc, in 2011, before that the Dreamliner deals off with all problems. Two B787s will be refitted with all news modifications made by Boeing on all B787s. 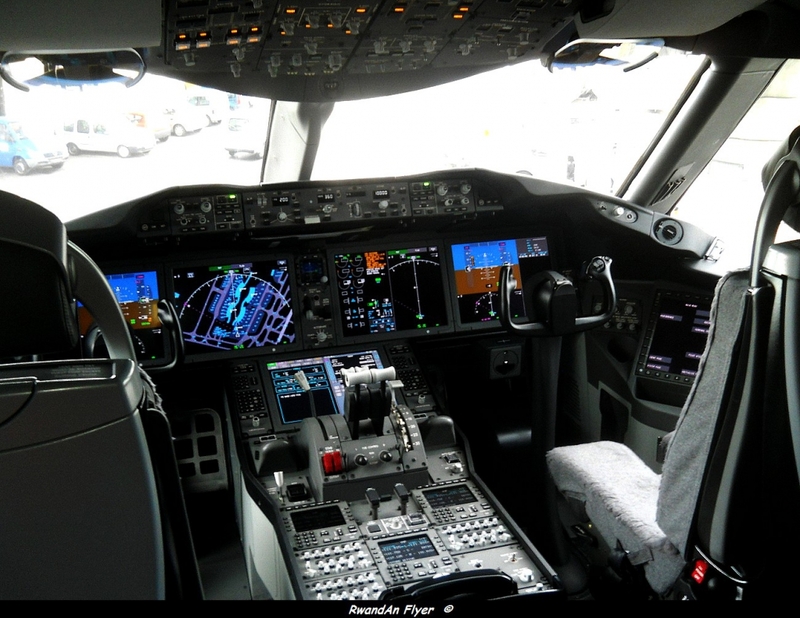 RwandAir still confident about its Dreamliner B787 order. B737-500s phased out in 2013 ? According to an interview of John Mirenge, the RwandAir's CEO, published on 18 January 2013, in the Rwanda Today, RwandAir won't cancel its order of two B787s, despite technicals troubles. RwandAir placed an option deal for two Dreamliners in 2011, shortly after the delivering of the brand new B737-800. In December 2012, it seems that the airline reached an agreement with Boeing, for the order of two B787s, to open new destinations in Asia (China and India) and Europe, by 2015. B737-500 phased out, in 2013 ? RwandAir leased two B737-500s, in 2010, for a period of three years. The airline planned to extend the lease, but with the rapid growth, RwandAir wants to replace them quickly, by bigger aircraft. RwandAir has an option for two CRJ-900NGs, but they are smaller than the B737-500. A decision will be probably taken in the coming month. John Mirenge has also said that the airline will break even in 2015 and the governement will continue to invest, by buying new equipements and hiring new staff. 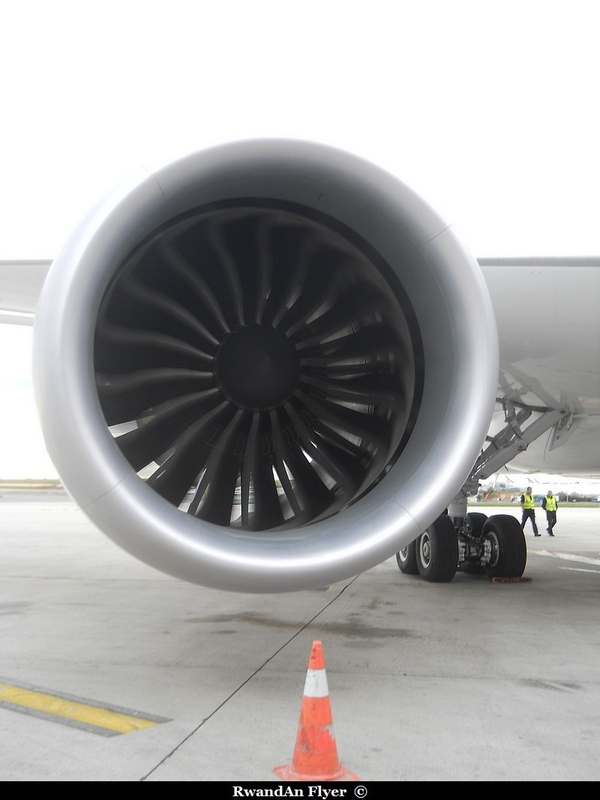 In recent weeks, the Boeing 787 Dreamliner, which industry analysts consider to be most advanced passenger aircraft yet to be built, has suffered setbacks including fuel leaks and technical issues such as brake problems. Just last week, Japan’s two main airlines grounded their Dreamliners after one was forced to make an emergency landing because of battery problems. Boeing chose to use the most combustible of the standard lithium-ion chemistries on the market in its flagship 787 Dreamliner. The advanced aircraft is grounded around the world after a battery burst into flames.